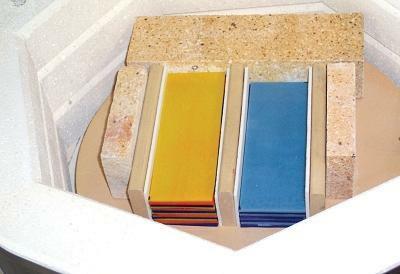 Medium Brix measures 4-1/2" x 2-1/4" x 2-1/2"
Easily contain thick fused slabs to create incredible multi-layered images and pattern bars (see images below). 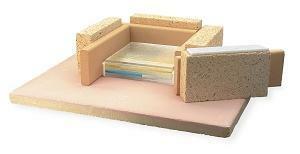 Hot Brix are specially designed kiln bricks for this purpose. Stack glass on a kiln shelf. 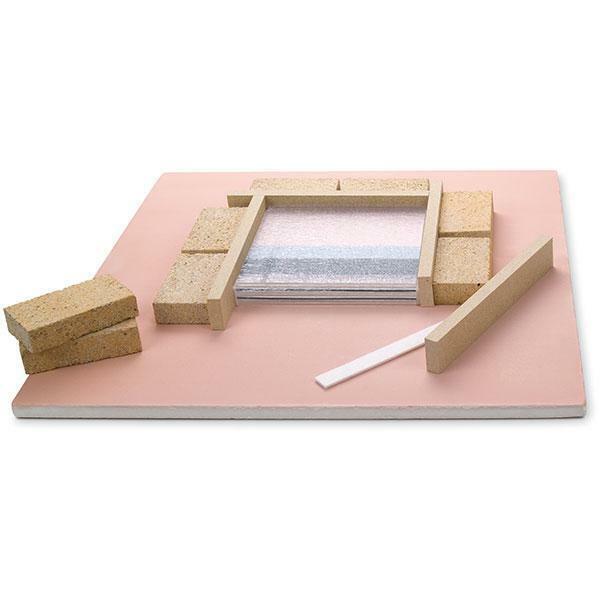 Use the mullite clay Hot Damz (sold separately) with the hard Hot Brix as bracers. Then fuse in your kiln. It's that easy! 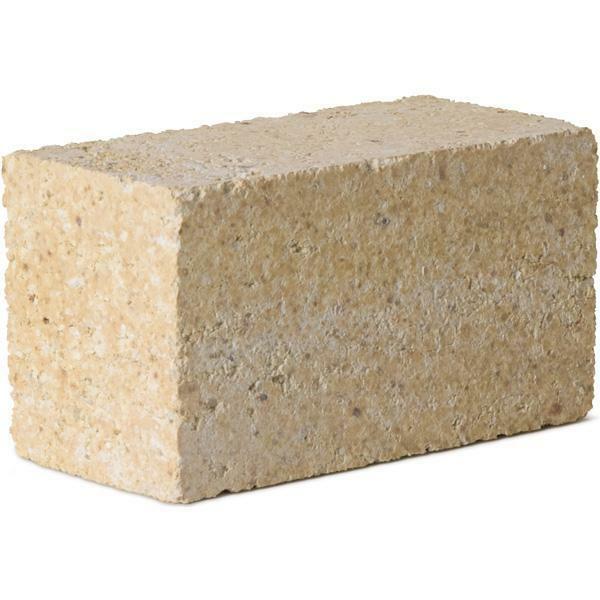 Medium Hot Brix bracer measures 4-1/2" x 2-1/4" x 2-1/2". Delphi Tip: Slice pattern bars perfectly with the Super Slicer #57108 shown above. 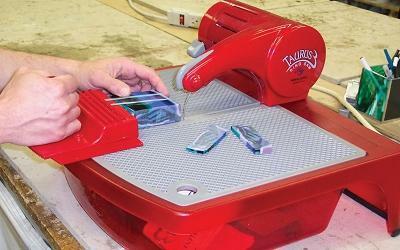 It attaches to both bandsaws and ring saws. 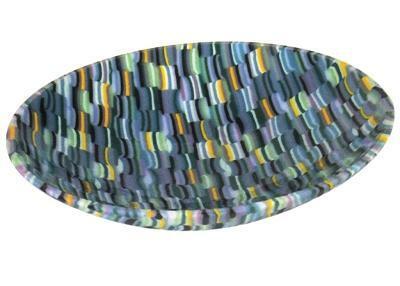 Create incredible detailed fused pieces with pattern bars, like the bowl from "Contemporary Warm Glass," book #6814.